Healthy salt? Isn’t that an oxymoron? We’ve all heard the conventional dietary rule that tells us to avoid salt in our diets because it’s unhealthy. 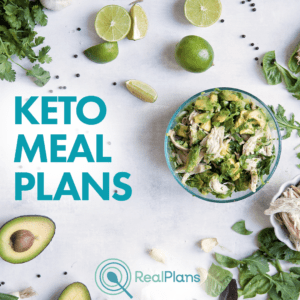 In fact, several years ago – before I began my real food lifestyle – I was diagnosed with stage 1 hypertension and my doctor told me to stop eating salt. He didn’t tell me to stop eating sugar or to cut back on my carbs. He didn’t even suggest that I get more exercise or lose weight even though I certainly needed to do both. He simply told me to watch my salt/sodium intake and lower my stress if possible. Of course, cutting down on my sodium intake alone didn’t fix my high blood pressure. Eventually I discovered that a real food diet was the key to optimal health. These days I eat a real food diet with plenty of salt. I don’t monitor my sodium intake and I don’t have high blood pressure. So, what’s the deal with salt? Is salt healthy or not? The answer requires a little more detail, but is a true testament to the balance of nature and the power of a truly healthy, real food diet. Read on to see why salt is an important part of the diet and where to find the healthiest, tastiest salt. As it turns out table salt is just as unhealthy as your doctor will tell you it is! See, all salt comes from ocean water or deposits where ocean water once was. Natural salt contains a variety of trace elements and wonderful flavors. Unfortunately, table salt is processed and stripped of the trace minerals and the flavor nuances. Nature knows what it’s doing when it places elements together. The trace elements in salt help to balance the sodium in salt and provide our bodies with the nutrients they need. So, when I talk about healthy salt, I’m referring to salt that still contains the trace elements that nature put into it. There are several types of salt like that on the market. These salts have a roundness of flavor that you won’t find in plain table salt. I even sprinkle a little Real Salt in my water sometimes. It tastes yummy! Most of my readers already follow a real food diet. That means most of you aren’t consuming a lot of processed foods that contain a lot of sodium. If you still eat processed food regularly work to replace processed food with healthy, real food. Increase your intake of potassium to help balance the sodium in your diet. Just like magnesium and calcium balance each other, potassium and sodium work together in your body to create a healthy balance of electrolytes. Most Americans – even those who eat a healthy diet – don’t get enough potassium. An imbalance of potassium and sodium can contribute to high blood pressure. While the health authorities in the western world have spent decades maligning salt and fat, they’ve only recently begun to criticize the true health thief – sugar. Sugar – especially of the white, processed variety – is a health hazard. It should be used only in whole forms such as coconut sugar or real maple syrup , which still contain the nutrients needed to properly digest it. I know it might seem counter-intuitive that salt helps you stay hydrated. Don’t salty foods make us thirsty? Yes, salty processed foods can makes us thirsty and dehydrated. Think movie theater popcorn. 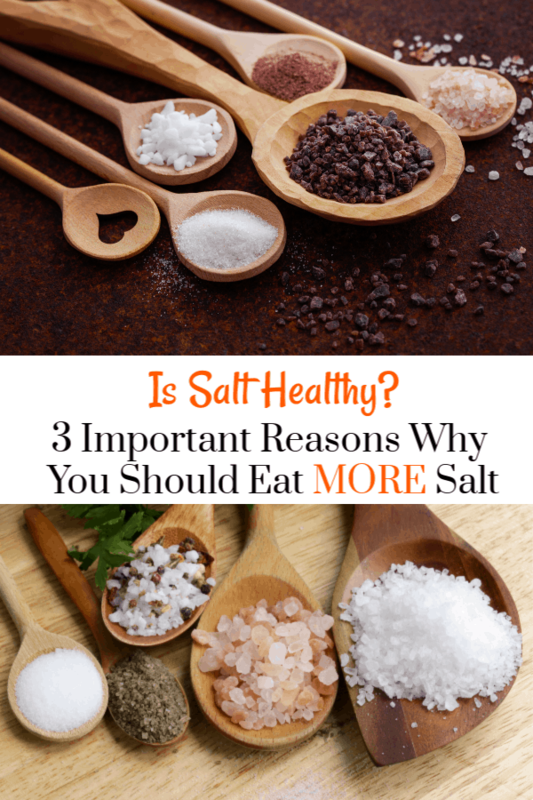 However, salt plays an important role in regulating our electrolytes. Without the proper balance of electrolytes in our bodies water isn’t absorbed as it should be. If you follow the (possibly misguided) conventional recommendation to drink eight 8 ounce glasses of water each day, you definitely need more salt in your diet. The more water you have in your diet the more likely you are to flush salt right out of your system. One way to drink as much water as you’d like without negative consequences is to make a sole. Simply place one part real salt and three parts water in a mason jar. Give it a shake and let it sit overnight so the water can absorb the salt. When the salt is absorbed add one teaspoon of the sole to a glass of water first thing in the morning. In order to properly digest food our bodies needs enzymes. Enzymes are present in our saliva and our pancreas. When we eat salt the salivary enzyme amylase is produced. Amylase helps our bodies to digest food – Remember digestion begins in the mouth! In addition, salt helps our digestive system to produce hydrochloric acid, which is essential to good digestion. Many of us have a lack of stomach acid – yes, even heartburn can be a sign of low stomach acid. Salt provides a critical piece of the digestive process so don’t skimp on the salt. Well, healthy salt, that is! Want more information? Check out Salt Your Way To Health by Dr. David Brownstein.